The cover on this bind-up and the synopsis intrigued me. I was, however, expecting a zombie / humorous story based on the titles A Girl's Guide to Falling In Love With a Zombie, and A Girl's Guide to Breaking Up With a Zombie. Instead, this is a serious story set in a world decimated by a zombie plague triggered by a terrorist attack. It isn't explained if the plague was intentional, or an unexpected side effect of the attack. Perhaps this was glossed over to keep the story short, but I would have liked a bit more information.The story follows Rebecca and her small group of friends who are struggling to survive in this post apocalyptic world. One of the zombies stalking in their area is Lance, and she loves him. When the group decides to relocate to a safer location with more food access, she refuses to go unless they can trap Lance and bring him with.This is were I had issues with the book. I couldn't relate to the main character. In fact, i really disliked her. I could not understand how she could put her friends lives in danger for a zombie. Was Lance her boyfriend before he caught the virus that changed him? No. She simply had a crush on him for many years, and he barely knew she existed. Further along, another character named Ryan is introduced. This could have added an interesting development, but the relationship that develops between the two, I felt, was extremely rushed and thus not believable.Overall, I think the story would have worked better, at least in my mind, if there was a previously existing relationship between Rebecca and Lance. A bond so strong that she couldn't bare to be parted from him.I did enjoy the action scenes within this book; they are well written, intense, and gory. The world created is creepy, decaying, and just how I like my post -apocalyptic / zombie infested worlds. 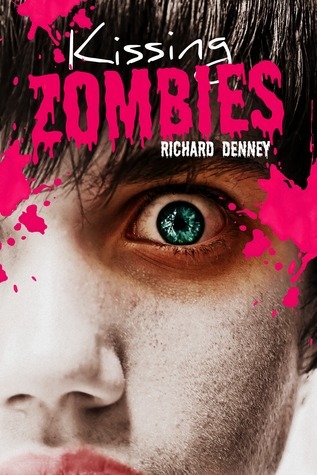 These zombie tales (as it is the volume for A Girl's Guide series by Richard Denney) are fast paced, action packed, short, and can be deeply developed in sadness. Which you would expect as it is an end of the world, zombie book. Since it’s short of course it’ll be fast paced. In the beginning you see how the world is with zombies trying to get in for some of that human brain but then you see that the main girl is in love with one of those zombies. Because of this, she can’t leave her dead “boyfriend” behind when her and her friends need to leave before it gets over run. So she hitches a plan to bring her dead “boyfriend” along for the ride. Seems sweet, right?WrongSince she decides to do this pretty much everything from there on she’ll lose a lot of the people she cares about because of this dead guy. He was never her boyfriend in the first place so why on earth would you risk your life and everybody else’s, all just for him. Yes, she hoped there would be a cure, who wouldn’t? But if I were her I’d rather risk my life for my zombified family and dear friends than the guy I only admired from a far. But that’s just me *shrugs*.So, yes I thought she was naïve and made me dislike her in certain parts of the stories. Other than that, I enjoyed this quite a lot. Oops, actually there was another thing that got to me. She fall in love with someone but it seemed too fast. They only knew each other for a week. Now this may be due to the fact that zombies roam the streets more than humans do now but it still bugged me a little. Just a bit. Overall, I appreciated this short series. It was gritty and dark in some moments. You were able to see what can become of some people with this kind of disaster, see their true animal side come out as it is all about survival now. I liked how I was able to finish this in no time, a great read for in between novels, a good way to take a break from those 300 and something page books. But don’t worry, there are some lighter moments in these books so don’t let the sadness stop you from picking this series up.Anyways, I recommend this for everyone that likes zombies/horror and a good short read that doesn’t need much brain power. For people that just want to relax from those long novels.~Cover Talk~ I absolutely love the cover! It was what caught my eye on amazon and a reason why I had clicked yes into putting it on my Kindle app. Another reason was because at the time it was free, yee! Original Review: http://totallybookalicious.blogspot.c...I grabbed this on Kindle for free. The cover caught my eye and so did the title. So I snapped it up. I went into it thinking it was going to be a fun, light read. And in a way it was. It was very light and very quick. It doesn't take any brain power to read so it works good for a filler novel. However, I like my books to have some depth to the story so it just didn't grab me.Kissing Zombies is a bind up of two novella's; A Girl's Guide to Falling in Love With a Zombie and A Girl's Guide to Breaking Up With a Zombie and from those titles you expect a funny read. But it's not funny at all. Maybe it was to some people but it wasn't for me. I felt that the story was rushed and very very unrealistic (I know it's a Zombie book but even Zombie books can be realistic with the themes they have in them) I felt the characters where shallow and so boring. However, there is the odd scene or two that I did enjoy especially the scenes when we have our main characters fighting the Zombies.One of the big things that put me off this was the typos. Now I am not perfect, my reviews are usually full of errors. So the odd one or two in a novel isn't going to annoy me. But there was just so many in this that even I noticed it!Overall, if you are looking for something that a quick then give it ago. You may like it. Aside for the Cover and the odd fighting scene this one just wasn't really for me and I probably won't read anymore of the series. What I read was actually a bind up of both parts of A Girl's Guide. Amazon called it I'm in Love with a Zombie, but GoodReads doesn't have that on here. This was a good story. I enjoyed reading it and finished it on a little over an hour. My main complaint is that I thought it was too short. There was so much potential to lengthen it and make it into a full novel. The idea was great and I would have loved to have seen Richard explore this world he created a bit more.My only other complaint was the amount of spelling errors. I'm sure this is just a side effect of being self published, but, being the grammar snob that I am, every misspelled word pulled me out of the story.